It’s something we all dream if – the old “pewter” beer mug inherited from great-uncle Claude turns out to be Georgian silver, worth a four-figure sum or more! 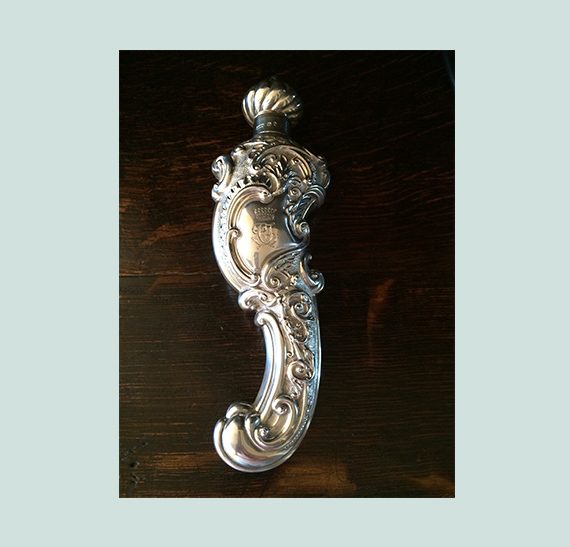 How do you tell whether metal ornaments, jewellery, cutlery and plate are valuable? Check for hallmarks – the tiny, match-head-sized symbols tamped in rows of four or so on the base or sides of articles made of precious metal. They indicate the age, origins and maker of the object, as well as its proportions of gold or silver to alloy. If it is not stamped! The fact that something hasn’t been marked, whatever its origin, doesn’t necessarily mean it is not valuable – plenty of beautiful pieces were made, even in England, which their makers never bothered to have stamped. How to tell? Well, there is the acid test, to detect pure from base metal (scratch the base of the object and apply a little hydrochloric acid; silver objects turn grey; base metal turns green, gold won’t react at all. If that sounds too technical, you can always fall back on the “eye” test – the better it looks, and the more work in it, the more likely it is to have been made from a precious metal.